The Brickskeller was where my wife and I celebrated our engagement in 1997 after I proposed at the Lincoln Memorial. I enjoyed many fun beer tastings at the Brickskeller, including the 2010 Strong Ale Tasting, the 2009 Why is There Beer? Tasting, and many others that pre-date this blog. It was a beer destination – a place to bring out-of-town visitors who appreciated craft beer and dim taverns. Established in 1957, the iconic Brickskeller was sold in December 2010, closed for a few days, and then re-opened as the Bier Baron. A year and half later, in June 2012, we finally made it back to the site of the former Brickskeller. But not for a celebration, not for a beer tasting, and not to host visitors. I had a Groupon for the Bier Baron that was about to expire. I’m glad we had the Groupon because $15 for a beer flight that totals just 18 oz is not a good deal – it’s just over a pint for Pete’s sake. But Beth and I got a beer flight each plus an app for $20, and I couldn’t complain about that. Beth and I enjoyed an appetizer of Spinich and Artichoke Dip with our beer flights, and then it was time for dinner. I continued the “bargain night” theme with my dinner order. During happy hour (5:00-7:00) a burger and any draft beer is only $10! Considering the burgers are regularly priced at $12 and the drafts are $5-$7, this was an excellent deal. I enjoyed a pint of Racer 5 with my hearty cheeseburger and steak fries. 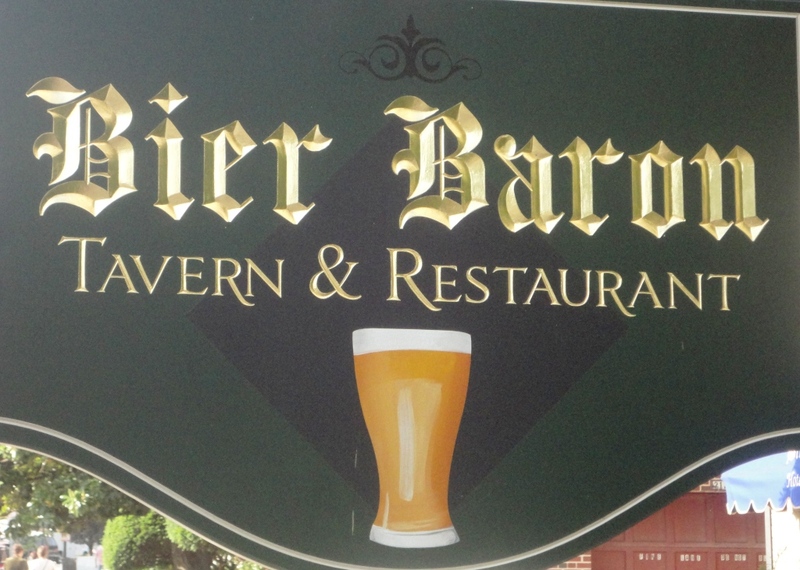 A lot has changed with the transition of the Brickskeller to the Bier Baron. It was hard to forget my history with the place, knowing that it was no longer a famous beer destination. But I finally made it back – the Bier Baron drew me in with deals and a great beer selection, and I was glad we made the trek. Tags: Bear Republic Brewing Company, Brickskeller, California, Chocolate City Beer, DC Brau, Flying Dog Brewery, Great Lakes Brewing Company, Maryland, Ohio, Washington D.C.